Published: . Filed Under: babies and toddlers, Education, Parenting. When my son (now two) started to walk, I knew our house and our lives would never be the same. And then I traveled a well-worn path to the nearest big box baby store and did what every new mom terrified by her baby’s newfound mobility has done before me: invest in every baby proofing contraption and device. We bought gates, cabinet locks, magnetic locks, outlet and power strip covers… It was endless. I went through every area of the house to make sure it was safe for a tireless toddler. But I’m embarrassed to say that there’s one item on the list that I missed, and here’s the reason for today’s post. We kept over-the-counter as well as prescription medicines in areas that were potentially accessible to my son. I realized this after a scary and fast incident — everything ended up being fine — but I’ve also come across many other moms who had far closer calls than I did. That’s why I decided to become a blog ambassador for the OTC Safety Program. They are not selling a product or a service. This program has been set up by a nonprofit foundation, the CHPA Educational Foundation. I have never done a sponsorship program on my blog, but I have been so impressed by the seriousness and importance of this issue. This is such a critical issue for children’s health and safety that doesn’t get discussed or publicized enough. In addition, my son has been through so many illnesses during his two years, and there have been quite a few times that I’ve been confused about over-the-counter medications. And if I’m confused — a mom with a doctorate who has made her living on research — then I’m sure there are others out there who would appreciate a clear resource. We all want to make sure that our kids feel better when they’re sick, but there’s a lot to keep straight and we don’t always have a medical professional that we can get a hold of immediately. And here’s where OTC Safety comes in. Our children’s health and safety are our responsibility as parents, but they have come up with some fantastic resources to help us. Check out these infographics that have been created for this program. And learn about and take the pledge — like I did — to keep medicines Up and Away from kids. I’m looking forward to sharing more with you in the coming months about using and storing medicines safely. 1. Check the active ingredients in all medicines. Never give two medicines with the same active ingredients. 2. Make sure your child is given the proper dosage of a medication by using the measuring device that comes with your child’s medicine. Don’t use a kitchen spoon. 3. 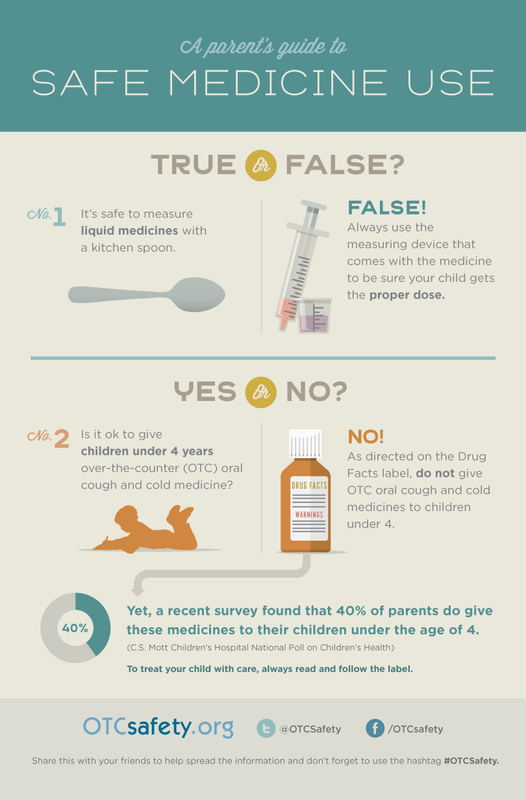 Do not give OTC cough medicines to children who are under 4 years old. 4. Do not give your child a medication in order to sedate, or make your child sleepy. As parents, it’s difficult to stay one step ahead of your kids. (Trust me. I know. My days are a nonstop battle to keep my two year old from getting into anything and everything.) But I’m so excited to share one way to help keep our kids safer and healthier a little easier. 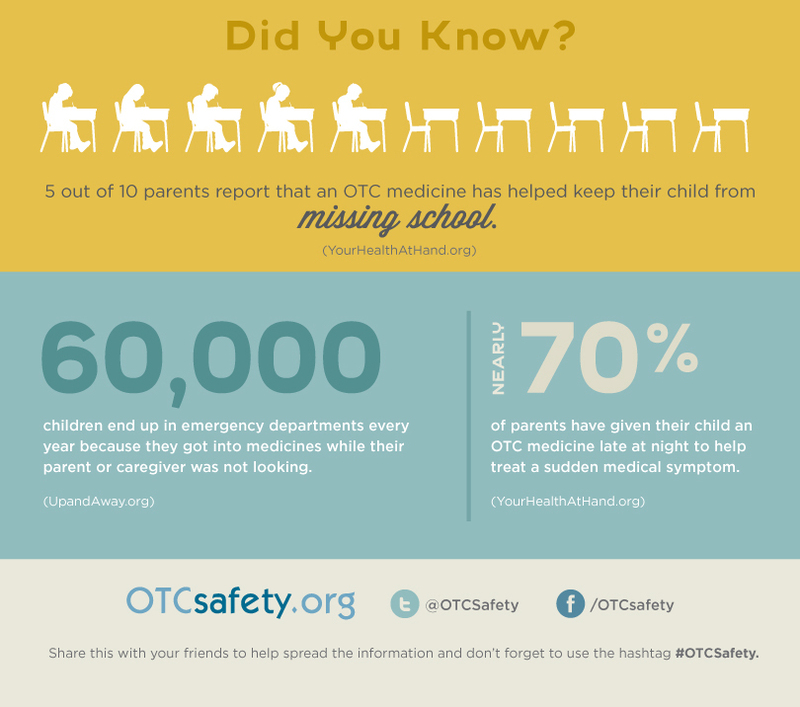 Start by learning more safety tips from the OTC Safety website. 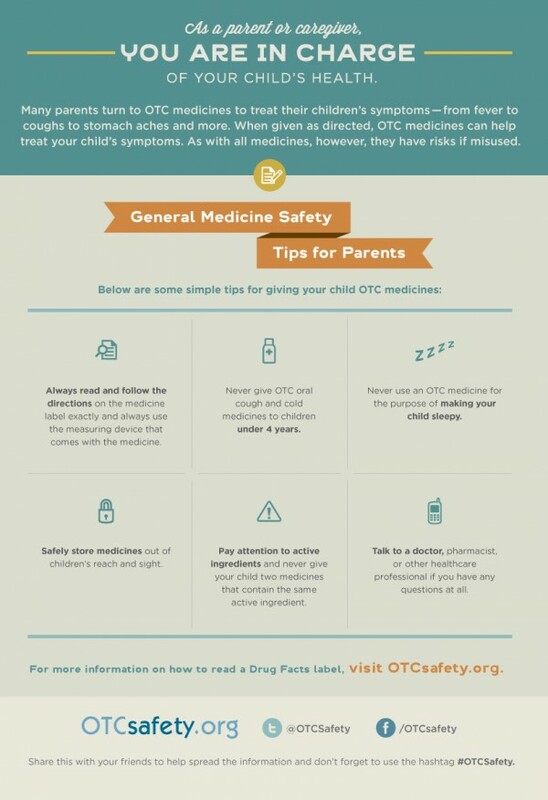 In the meantime, take the pledge to keep medicines Up and Away from children and visit the OTC Safety site to learn from lots of great free resources.. You can also visit OTC Safety on Facebook and on Twitter @OTCSafety. Disclosure: I receive compensation for my participation in the CHPA educational foundation’s OTC Safety Ambassador program. However, the content and opinions in this post are my own. Wow! Great post! And thank you for sharing. OTC medicines are highly confusing and controversial at times. I’m glad you’re helping to get the word out. Education truly is the best way to safeguard our children and families. Lucy Ball recently posted…Social Media – Circa 900 A.D. Thanks, Lucy! I agree. It really is confusing, for anyone. And I hope that this campaign helps to make instructions and safety procedures a bit clearer for parents. The Dose of Reality recently posted…“Arie” Ready To Find Out The Big Winner?! I discover several good material here. Unquestionably amount book-marking with regard to revisiting. I ponder the amount effort you place to create any such fantastic helpful internet site.